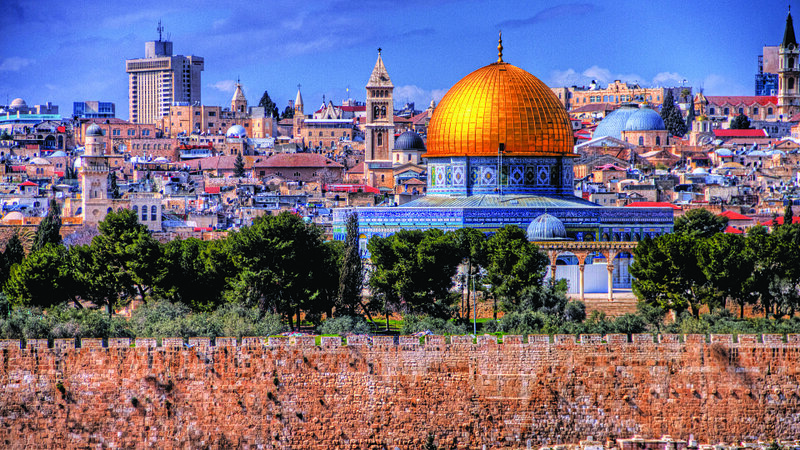 Join Destiny Ministries in the Holy Land for 9 days! Visit places, such as, Nazareth, the Jordan River, The Galilee and much more! Departing on November 6, 2019 with prices starting at $3,698* from New York. You will be welcomed at the Tel Aviv airport by our representative and transferred to your Galilee hotel to enjoy dinner before retiring for the night. Worship as you sail across the Sea of Galilee. Visit Capernaum, center of Jesus’ ministry in the Galilee, and visit the synagogue built on the site where Jesus taught (Matt.4:13, 23). 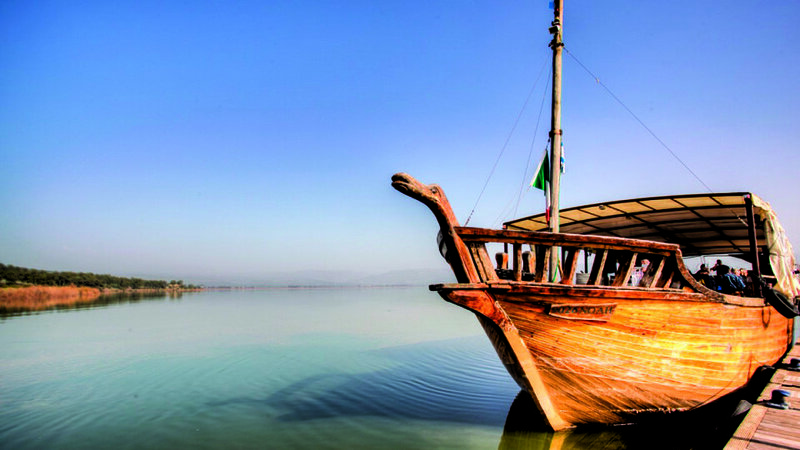 At Kibbutz Nof Ginosar, you’ll learn about the “Ancient Boat,” a rare example of the kind of boat in which Jesus would have sailed. On the Mount of Beatitudes, contemplate the “Sermon on the Mount” (Matt. 5-7). In Magdala, once home to Mary Magdalene, visit a recently discovered first-century synagogue. Recall Jesus’ baptism by John the Baptist at the Yardenit Baptismal site on the Jordan River. Visit Nazareth, Jesus’ boyhood home (Matthew 2:23) and explore the Nazareth Village, a living presentation of the life, times, and teachings of Jesus. Look out over Tel Megiddo (Armageddon) to view one of the most important archaeological sites in Israel. Today’s last stop is Caesarea, a center of the early Christians where an angel visited Cornelius, the first Gentile believer (Acts 10), and where Paul was imprisoned for two years before appealing to Caesar. Begin your day with a visit to Beit Shean. This is the city where Saul and his sons’ bodies were hung from its walls (1 Sam. 31). The uncovered ruins date back to the Greek / Roman city that was part of the Decapolis of Jesus’ day. See colonnaded streets with marble sidewalks, Roman public baths, and a theater. At Ein Harod (Gideon's Spring), you will learn about how Gideon selected his fighters based on how they drank from the spring. Pass through the Jordan River Valley en route to Qumran, where the Dead Sea Scrolls were discovered in 1947 by a Bedouin shepherd. Journey to the Oasis of Ein Gedi, where David and his men sought refuge from Saul (1 Sam. 23). Stand atop the Mount of Olives as Jesus did and enjoy a remarkable view of the “Golden City” of Jerusalem, where forty days after His resurrection, Jesus ascended into heaven from the (Acts 1:9). Walk to the Garden of Gethsemane and pray beneath the 2,000 year old olive tree (Matt. 26:36). Walk through the Kidron Valley and see the tombs that date to Old Testament times. On Mount Zion you will visit the Upper Room, revered as the site of the Last Supper (Mark 14: 12) and St. Peter in Gallicantu where Jesus was imprisoned for the night. Sing a hymn in the Church of St. Anne, renowned for its beautiful acoustics. Walk the City of David Excavations. Explore Hezekiah’s Tunnel, an amazing engineering feat that was dug from either end and met in the middle! (Note: Those who are claustrophobic may want to meet the group at the other end of the tunnel!). Stand on the steps of the Pool of Siloam, where Jesus healed the blind man (John 9). Walk the Temple Mount (conditions permitting), once the site of the Temple of Solomon (II Chronicles 3) and home to the Dome of the Rock. Enter the Old City and touch a piece of the Temple when you pray at the Western Wall. Visit the Davidson Center and the Southern Wall Excavations including the Teaching Steps. Continue to the Lithostratos to see the remains of the Antonia Fortress where Pilate tried Jesus. Visit the Church of the Holy Sepulcher. Walk the Jewish Quarter and take time to visit the Cardo, a “2,000 year old market” with shops old and new. 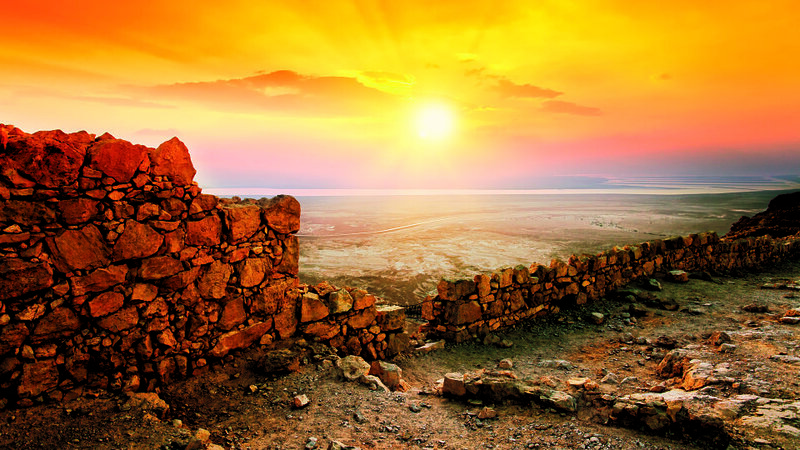 View the portion of the Old Wall built by Hezekiah. Visit the Temple Institute to learn of the ordinances and ceremonies of the Temple. Return to your hotel for dinner and overnight. Visit the Garden Tomb where you will remember the sacrificial love of the Lord and the redemption of his Resurrection.